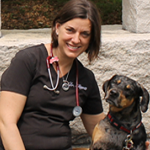 Dr. Rochelle Campbell is a 2003 graduate of Auburn University College of Veterinary Medicine. She also attended Auburn University as an undergraduate student and obtained a bachelor’s degree in Zoology prior to attending veterinary school. 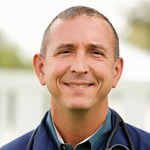 Dr. Campbell is the current president of the Hillsborough County Veterinary Medical Society and is a native of Tampa. She currently practices in Riverview. Her interests outside of veterinary medicine include spending time with family and friends and travelling. Dr. Vincent Centonze is director of the Hillsborough Community College (HCC) Veterinary Technology Program in Plant City, FL. Dr. Centonze earned his undergraduate degree from the United States Air Force Academy and was a career officer in the Air Force. After retirement, he earned his Doctor of Veterinary Medicine degree from the University of Florida College of Veterinary Medicine. He has practiced veterinary medicine in the Tampa, FL, area as an associate veterinarian, relief veterinarian, and owner of his own house call practice prior to directing the veterinary technician program at HCC. He frequently volunteers for Hillsborough County Pet Resource Center and other animal shelter and rescue organizations. Dr. Colleen Elligott graduated from Georgetown University in Washington, D.C. with a B.S. in Foreign Service in 1993. Following graduation, and for the next 5 years, she worked for US Assist Inc. researching and coordinating international emergency medical services ranging from care referrals to full organization of international air ambulance evacuations. She completed her science pre-requisites for application to veterinary school at George Mason University in Fairfax, Virginia, while working as a veterinary technician assistant for Alexandria Veterinary Emergency Service in Alexandria, Virginia. Dr. Elligott attended veterinary school at The Ohio State University, where she was active in the student veterinary emergency and critical care society and the student AVMA. 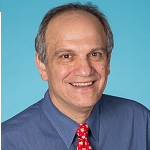 Dr. Bob Encinosa was born in Valrico, Florida and graduated from Brandon High School in 1980. He received his doctorate from the University of Florida College of Veterinary Medicine in 1987. He founded Boyette Animal Hospital on November 5, 1990. He is very active in the education of children and enjoys talking to groups on a variety of subjects. He also serves as: CE director and past president of the Hillsborough County Veterinary Medical Society, Member of The Dean’s Circle of Excellence UF College of Veterinary Medicine, Veterinary Management Group Executive Committee and Recruitment Chair, Founder and caretaker for the Boyette Springs Elementary School Nature Preserve, Medical Director of C.A.R.E. in Ruskin, and President of the Hillsborough County Pet Resource Foundation. 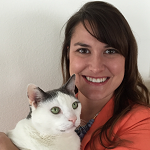 Dr. Sarah Hilario graduated from The Ohio State University College of Veterinary Medicine in 2008. She earned her Bachelors of Science in Finance in 2005 from Ohio State. She is a member of the American Veterinary Medical Association and a board member of the Hillsborough County Veterinary Medical Association. She currently practices in Riverview, Florida. She enjoys attending local and national continuing education events each year and her clinical interests include preventative care, feline medicine, dentistry, and internal medicine. Outside of the office, Dr. Sarah enjoys running, going to the beach, being involved in her church, and spending time with her family. She shares her home in Riverview with her husband and three extremely spoiled pets.